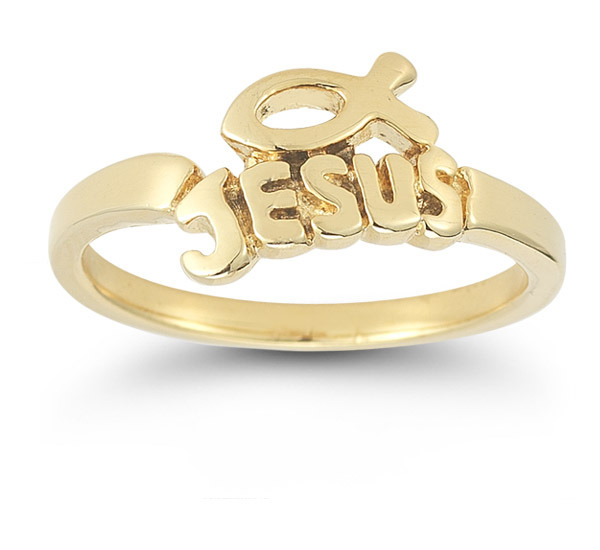 Make the case for faith with the Jesus Ichthus Ring from Apples of Gold. This expertly crafted piece is wrought from the finest 14K yellow gold, giving it warm, golden glow. The ring's band is smooth and polished for a simple design, but the real beauty is in the center. "Jesus" is spelled out on the band in block letters as a reminder of His sacrifice, and the Ichthus symbol is perfectly poised above to complete this simply wonderful ring. Ring face measures 8mm x 10mm. We guarantee our Jesus Ichthus Ring in 14K Yellow Gold to be high quality, authentic jewelry, as described above.